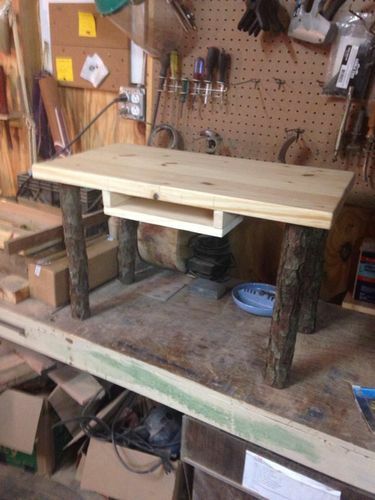 this rustic little table was built with log legs I harvested from a golf course in Houston, texas. the top is 27 1/2” X 15 1/2”, and is 1 1/2” thick. It is 17 1/2” from the ground. I chose to place a small shelf in the bottom center of the table top. I need advice on a target audience and an asking price.